Drawing upon the ancient Indian tradition, all our guests are welcome with a Tradition Footbath Rituals. Tastefully combining western and Indian therapies, our services range from Royal aromatic massage, Classic Swedish massage to holistic facial. Our purpose is to melt any stress and tensions, revive tired skin, pamper your senses, and leave you floating out of the spa. “Divine”, the name itself suggests what our guests feel after being the most tranquil place in the entire world, the Ayurvedic Spa of Shiv Vilas. Here you will find the finest Ayurvedic therapies which are capable of healing every little ailment you have. The place provides its guest with Jacuzzi, Spa, Massage, beauty and therapy rooms. Our professional trainers will guide you throughout you the way so that you miss nothing and get the best of these highly capable techniques. Separate ladies and gentlemen are available as per your requirements and they ensure you spend a pleasant time here. You will be cured by most expert hands. You may also get an outdoor massage along with enjoying the scenic view of the surroundings. The Spa also has a herbal boutique and beauty salon which will provide you with holistic beauty and give a fine touch to your elegance. Shirodhara :- Stream of Herbal oils poured on the forehead at specific temperature for a certain period of time to revive the mental stress. Ylang Ylang :- Sedative, Euphoric . Reduces anxiety, decreases Blood pressure. Rose and Sandalwood Treatment :- Imbibed into body system, imparts internal balance to promote beauty and health. Reflexology/Accupressure :- Pressure applied on the reflex zones of the palms and soles with strong massage on the other pressure points of the body. Couples massage :- Magnificent massage suites filled with soothing music and blissful aromas are the perfect setting to share a spa experience with a friend or loved one. Beginning with a massage of your choice, this wonderful experience promotes bonding and togetherness in a unique setting. Your therapy concludes with an aromatic bathing ritual as you sip on our signature tea blend. Balinese treatment :- This luxurious spa therapy which evolved on the island of Bali is a deep pressure massage using a variety of techniques including skin rolling, deep tissue manipulation, gentle stretching and reflexology. Ayurveda Massage :-Indian herbal oil prepared from rare herbs in Gingerly oil base. Good for nerve related ailments. Reduces body pain, nervousness and anxiety. Improves Sleep. Aroma Therapy :- Spacious Couple massage suites a whole new experience of contemplation, massage and relaxation, allowing you to share a true holistic experience. Orange therapy :- Invigorating, multi elevator and toning. Vetiver :- Relaxing, Cooling and Rejuvenating. Peppermint :- Mood elevating, invigorating and decongestant. Swedish Massage :-Magnificent massage suites filled with soothing music and blissful aromas are the perfect setting to share a spa experience. Almonds :- Rejuvenates the skin, maintains the natural oil and moisture balance. Good for dry skin. Herbal :- Herbs extracts mixed in a rich oil with Vitamin E. Helps remove scars and stretch marks. Olive :- Good base oil, Helps in maintaining natural skin texture. Cream Body massage :- Lemon , Cucumber & Honey lotion. Safeguards against skin wrinkling and ageing, dehydration, dead cells of skin. Soothing :- For sensitive skin in need of special attention, gentle products are used to cleanse and exfoliate. 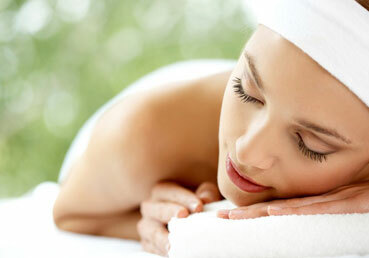 A unique Hungarian facial massage stimulates micro-circulation whilst relieving tension. A nourishing organic poultice supplies ample nourishment and moisture, leaving the skin glowing with new found health. Purifying :- Mineral-rich Hungarian moor mud draws out impurities and nourishes the skin. The application of the mud mask follows a thorough cleansing and exfoliation using rosemary and pineapple extracts to refine your pores. 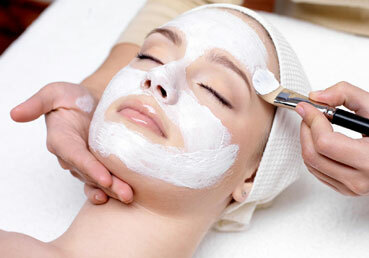 This facial is certain to revitalize all skin types. Brightening :- This anti-aging, firming and brightening facial defies time, creating a bright and radiant complexion. This therapy includes an intense eye firming treatment to enjoy the renewed benefit of a youthful glow. Pressure point techniques work in harmony with our products to provide immediate results. 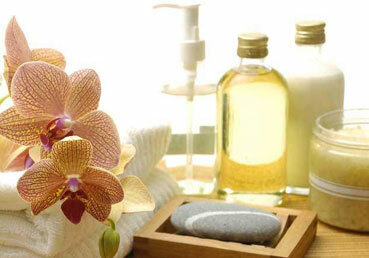 Salon facilities :- The Divine Spa offers a range of salon therapies including hair care, waxing and threading.